The commander of the Space station called in to congratulate them. 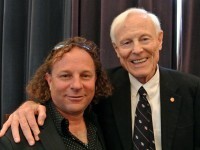 John Glenn and Scott Carpenter were honored. What an amazing weekend. Invited to participate in the 108th Explorers Club Annual Dinner (ECAD) and Celebrations my business partner, Lynn Gibson, and I arrived at the Waldorf Astoria in black tie and ceremonial dress with a thousand people from around the world on Saturday night. Both the cocktail hour and post dessert receptions featured exotic menu items ranging from beaver, muskrat, camel, scorpions, earthworms, and more. The silent auction offered incredible adventure trips, a ride in zero gravity and a donation of a communicator and phaser donated by Star Trek’s Gene Roddenberry. 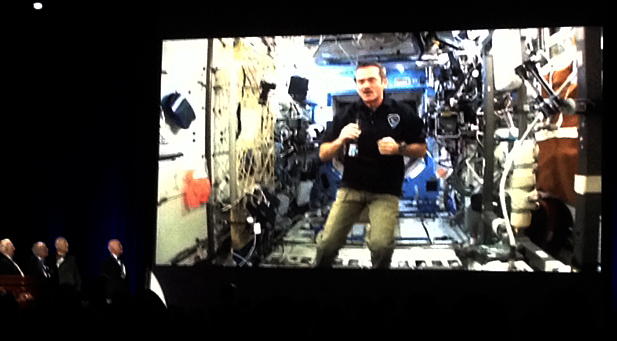 During the night many awards were given to amazing adventurers who reflected deeply on the theme of the night, “Sacred Spaces.” President Alan Nichols proudly announced that this was the very first ECAD to be live streamed as a special call came in from the International Space Station Commander, to congratulate astronauts John Glenn and Chris Carpenter for their President’s Legends Medals. Next up, Erden Eruc received a Citation of Merit for spending 5 years and eleven days circumnavigating the globe in a row boat. 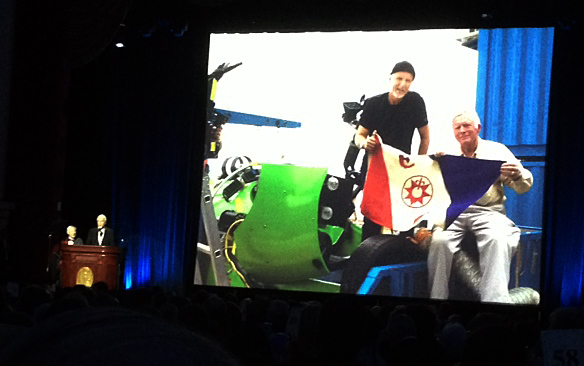 The night closed with James Cameron describing ECAD as the Academy Awards for explorers, sharing his passion about carrying the Explorers Club flag to the deepest depths of our planet’s oceans. Throughout the night a kaleidoscope of images was projected onto the grand room’s walls and ceiling showing far away galaxies and disappearing glacial sanctuaries. 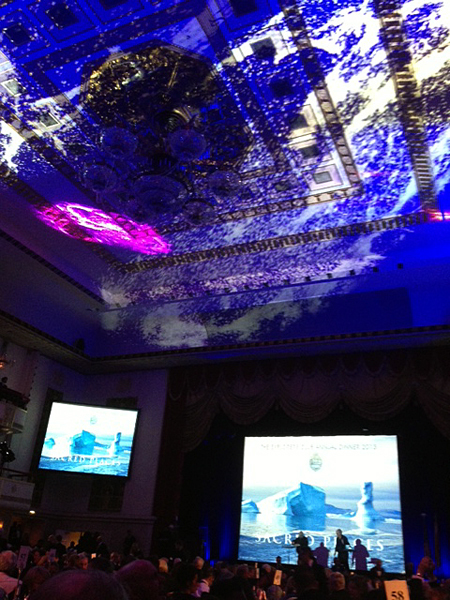 On Sunday the festivities turned to the Explorers Club House on 70th St. The five story brownstone was filled with exploration banter from the morning’s Board elections to an afternoon of keynote speakers. The topics ranged from the Wounded Warriors ascent of Kilimanjaro to Arita Baaijens’ search for paradise in the mysterious kingdom of Shambhala hidden somewhere in the Altai Mountains of Asia. There was an incredible tech-driven digital photo presentation of Everest shot by David Breashears that shows what 4 billion pixels (477 photographs) can allow you to see. Then Les Guthman shared a preview of his newest project, a film on Saturn…Other worlds, so close in our vast universe unfolded onto the screen, stunned me with their brilliance and inspired profound thought. 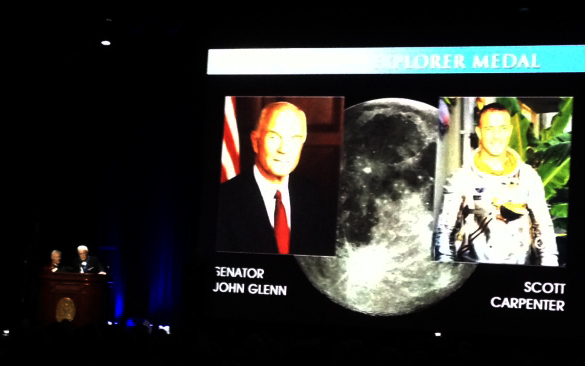 Near the end of the day I got my chance to share the PUSH with the Explorers Club. My parents and my business partner, Lynn Gibson, sat in the front row to cheer me on. As I began to tell the tale of this incredible journey to the bottom of the world, I got out of my own way and the heart and soul of the moment filled the room.